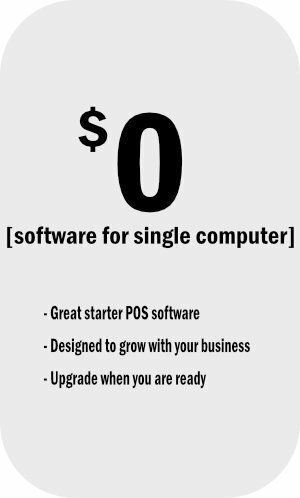 Free Restaurant POS Software - POS you can use now! Use Point of Success Special Edition free of charge forever. No monthly fees, no maintenance fees, no kidding! We created Point of Success Special Edition for independent restaurants, coffee shops, cafes, bars, and quick service concepts like yours. Point of Success software has been chosen by thousands of restaurants for its combination of useful features and low price. Every restaurant needs the efficiency-enhancing, business-building and security features of a quality point of sale system, but many businesses haven’t reached the point where the expense can be justified. Stop waiting to get a point of sale system! Point of Success Special Edition is totally free restaurant software you can use today to make a real difference in your business. We are the creators of Point of Success Premium and Point of Success Standard, two well-respected restaurant point of sale systems purchased by thousands of restaurants. For detailed hardware information, see our system requirements page. What’s the Best Way to Learn How to Use This Software? An electronic user manual explains use of the software. The manual can be found by clicking Start > Programs > Point of Success > Point of Success Manual. Online video training is available to help you learn how to design your order entry menu. View the menu setup training in the Learning Center. Other Point of Success users can help in the Point of Success Roundtable web forum. 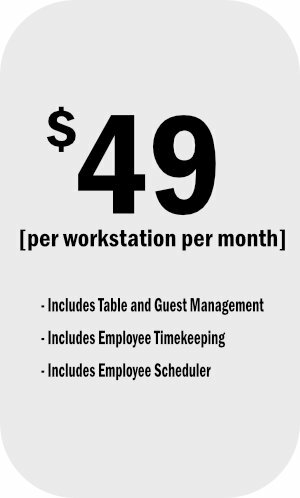 Download your Free Restaurant Software or call (800) 752-3565 for more information.